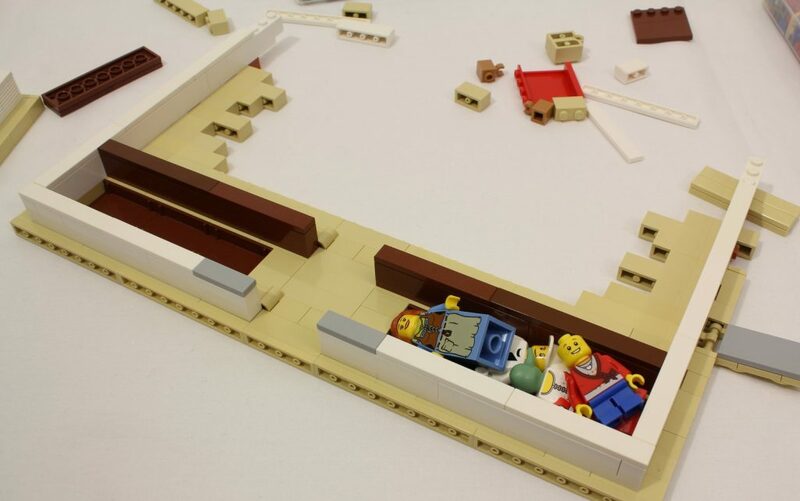 TBB: Where were each of you when LEGO first revealed to you that your project was selected, and what was the first thing you did? Jason: We were both on a skype call with the LEGO Ideas team. The first thing I did was probably say, “That’s awesome!” I say that a lot. I was really excited, obviously. Grant: LEGO made us sign an NDA around the beginning of 2018, right when the review period began after the project got 10,000 votes. LEGO asked Jason and myself to join a Skype call with them to discuss some “quick questions related to the model that will help inform the Review Board’s decision making.” I was in between classes sitting in my dorm room at college for the call, when instead of asking any questions they surprised us and said it was approved! That was one of the most amazing moments of my life. I couldn’t stop smiling for several hours. I also wasn’t able to talk to anyone about it, including my parents and siblings for five months! I had to wait all the way until LEGO posted the review results at the end of May. After a month or so of lying through my teeth about how “I didn’t know anything” and saying “it would be really cool if it got chosen,” I got pretty used to not telling anyone about it. TBB: Are you satisfied with what the final version that LEGO released? Was there anything that you we’re pleasantly surprised by the redesign? Jason: I’m very happy with the final model. I think it looks amazing. The designers did such a good job of taking our drab looking model and making it look beautiful. When we were first shown the mechanism for raising the beanstalk, I’m pretty sure I literally did say “Wow!” followed by “That’s amazing!” I say that a lot too. I was pleasantly surprised when they showed us the printed tiles with our names on them too. I thought that was a really nice touch. Grant: I am so happy with the final design! Wes, the LEGO designer, took our original idea and really ran with it to make a fabulous final set. 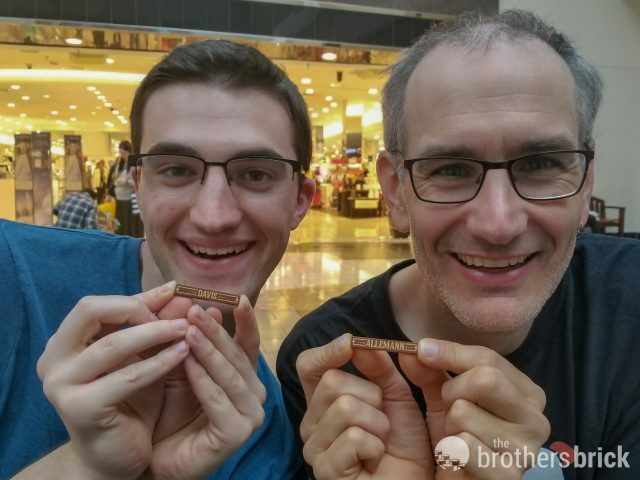 The biggest thing that I was personally excited about was having my last name printed on an official LEGO piece. The instructions say that my favorite piece is the cheese slope, which is a false statement now. How could my name tile not be my new favorite piece? Cheese slopes will have to settle for second place. TBB: What part of the final Pop-Up Book are you most proud of? Grant: I am definitely most proud of the things that have remained unchanged since my original model, namely multiple inserts, the general look, and the size of the book overall. Jason: I’m pretty proud of the fact that the main pop-up mechanism is essentially the same as in our original submission. When I first came up with that design, I thought, “Okay, this seems good enough for now, but I’m sure the LEGO designers will come up with a better way of doing it.” For a while, I kept revisiting the mechanism to try and develop a better one, but, as it turns out, it seems that it is pretty much the best way to do it. TBB: Have either of you created more custom inserts for the Pop-Up Book? Grant: Yes, I made a steampunk Pop-Up Book insert to try to push the bounds of what can be achieved in a four-stud-wide space. Other than that, I have not made any custom inserts not included in the original submission. Jason: I’ve created one new insert so far for the final set, which is a remix of the two standard interiors to create a larger version of the Giant’s castle in the clouds. I put together building instructions for it too, which you can find on my website. Jason’s custom Pop-Up insert combining both scenes in the official set. TBB: If you could do it all over again, what would you do differently? Grant: I can’t think of anything I would change off the top of my head except maybe make the original model closer to what the final set was since the LEGO designers did a great job making it look so good. But most of the pieces that I would have needed to do that didn’t exist yet! Jason: I don’t think I would change anything. I am really happy with the final version of model we had for the Ideas project. To me, it had a good balance of size and functionality and was really suitable for customization. Obviously LEGO agreed, since the form factor of the book wasn’t really changed. TBB: How did you get into LEGO as a hobby? Grant: A friend of mine sent me a link to one of the original Legend of Zelda projects on Cuusoo before it was renamed LEGO Ideas. He knew I liked Zelda and LEGO, so I made an account and supported it. 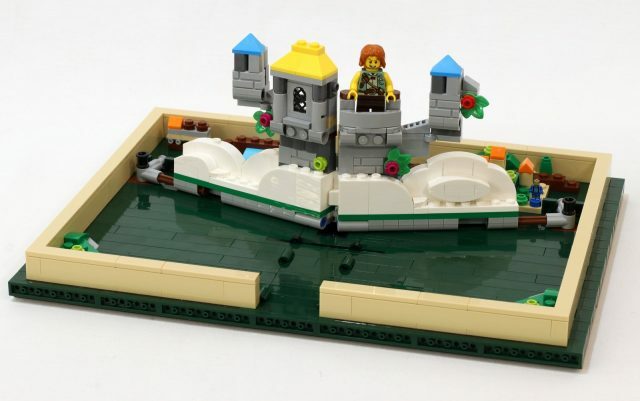 I eventually began working on creating my own castle-themed project (it was terrible) and after a few months I found a link to MOCpages and from there Flickr and the wider LEGO community including BrickCon. In a sense, I have made a full circle now from just supporting random projects on Cuusoo, to making my own LEGO Ideas and having it made into an official set. Jason: I have loved building with LEGO bricks for as long as I can remember. In my teen years I would often use LEGO bricks as the medium for school science and engineering projects. When LEGO released the first version of their Mindstorms programmable robotics system and also obtained the Star Wars license, the combination proved impossible to resist and I became a full blown AFOL (Adult Fan of LEGO). TBB: How did the AFOL community play into your collaboration, the design of the project and final result? Grant: I think that the biggest way the AFOL community contributed to the model was by sharpening Jason’s and my own building skills before we posted the model. 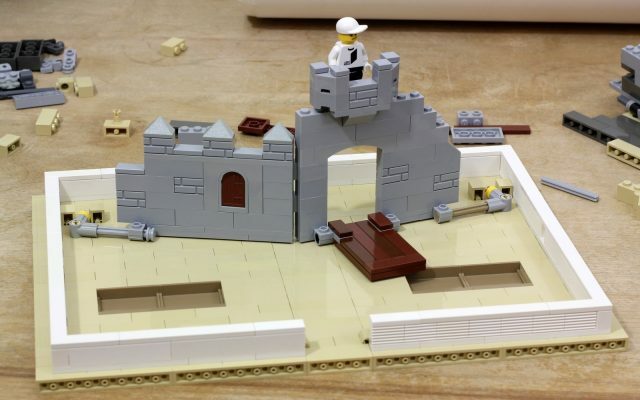 Had I submitted a model to LEGO Ideas without previously gaining the significant experience of seeing (and building) other good quality MOCs, I don’t think the Pop-Up Book would be a set today. Jason: Without the AFOL community, I’m not sure the collaboration would have even happened. 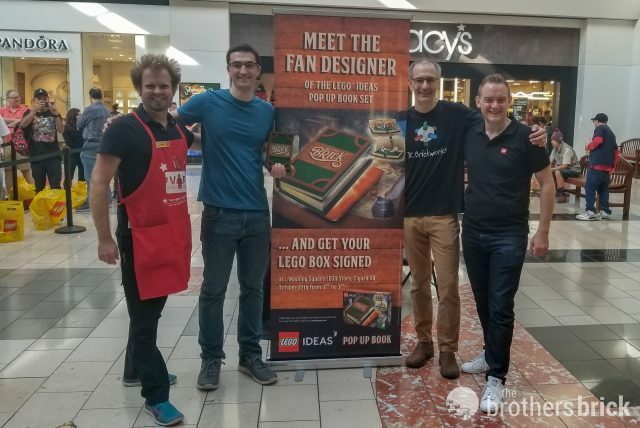 The fact that the LEGO community exists at all is the reason why I was familiar with Grant’s work to begin with, which made it a no brainer to join him on this journey. 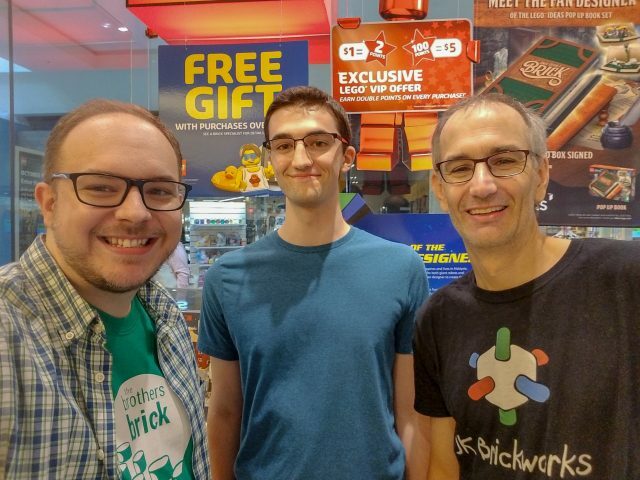 TBB News Editor Dave Schefcik with LEGO Pop-Up Book fan designers Grant Davis and Jason Allemann. TBB: What’s next for each of you? Grant: Lots of school for me. I make time when I can to build a little bit here and there, but I won’t have the chance to do anything significant until summertime next year, save maybe Christmas break. When I do have time to build however, I will be working on honing my skill as a MOC builder, rather than working on a new LEGO Ideas project. I will only post another project when I have another idea that I think is worthy of the platform, otherwise, I am content just being a builder for now. Jason: I’m continuing to design models as usual, and of course that will now include more custom Pop-Up Book inserts. I’m really excited to experiment some more with it, maybe explore some other mechanism designs and cover styles. 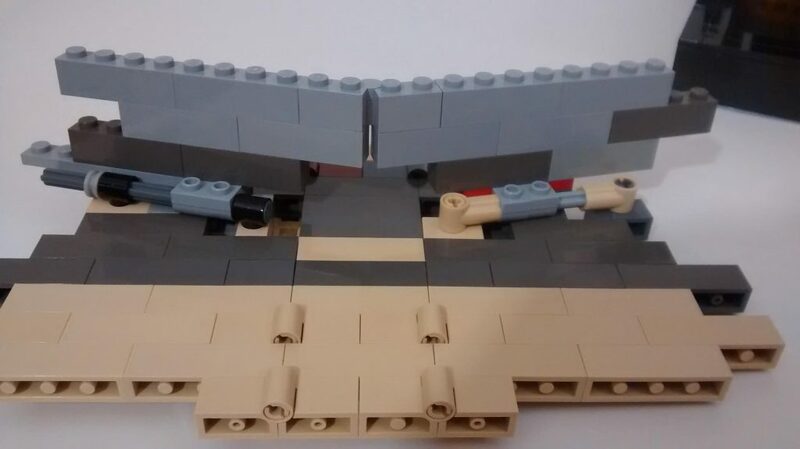 As far as LEGO Ideas is concerned, I have one other project that is currently gathering support, which I’ve pretty much ignored since the Pop-Up Book was approved. 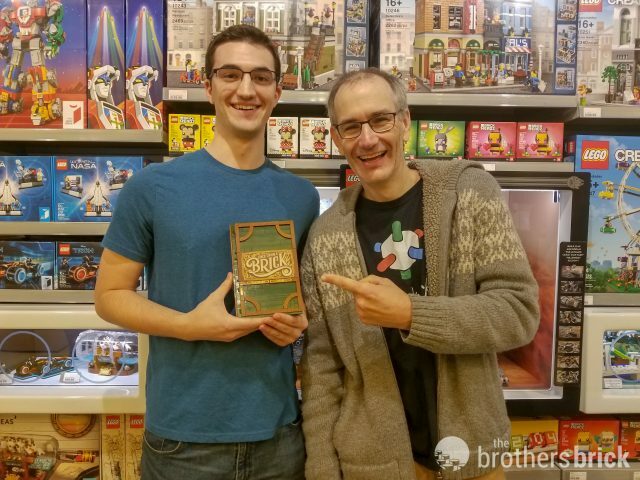 TBB: Thanks so much for your time and insight, and we look forward to seeing your creations in the future! 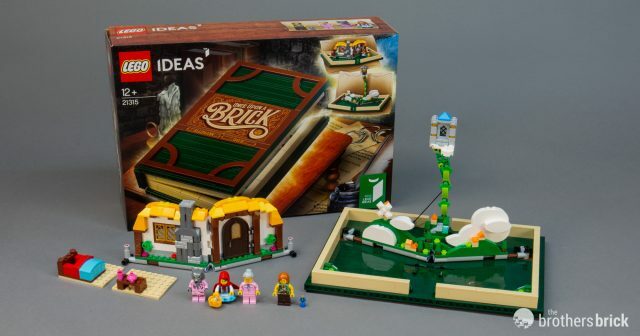 LEGO Ideas 21315 Pop-Up Book includes 859 pieces and four minifigures. It is available now for US: $69.99 | Canada: 89.99 CAD | UK: £59.99. Such an excellent idea. Congratulations! Those guys could be father and son! It’s uncanny! Great set!